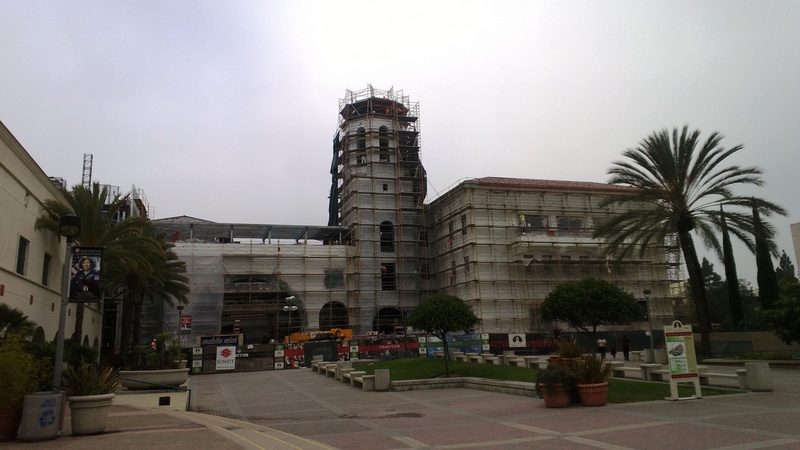 The Aztec Student Union site is a busy one — from the exterior site work to the interiors to the roof, there are approximately 300 crew members working at any given time. Crew members dot the north exterior of the Union. This number will stay fairly steady until construction is completed in December, with grand opening activities taking place throughout the spring 2014 semester. A crew member stands aloft a scissor lift to paint the wall in Montezuma Lounge. 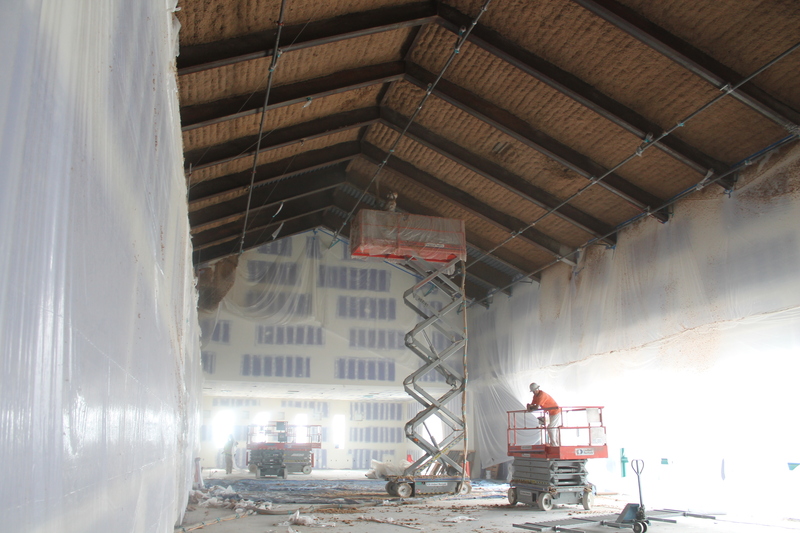 A crew member sprays insulation onto the ceiling of the ARC Express. 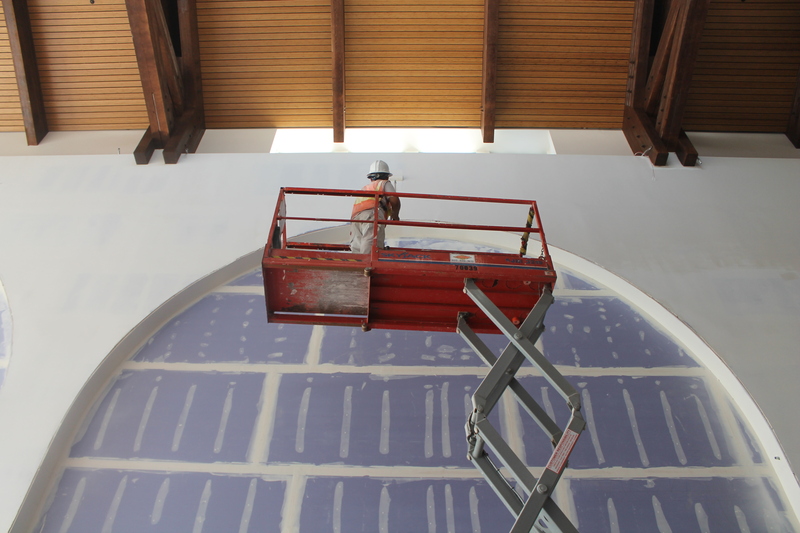 With 206,000 square feet of work to complete on the interiors alone, crew members do everything from laying tile to painting to installing custom finishes and equipment. 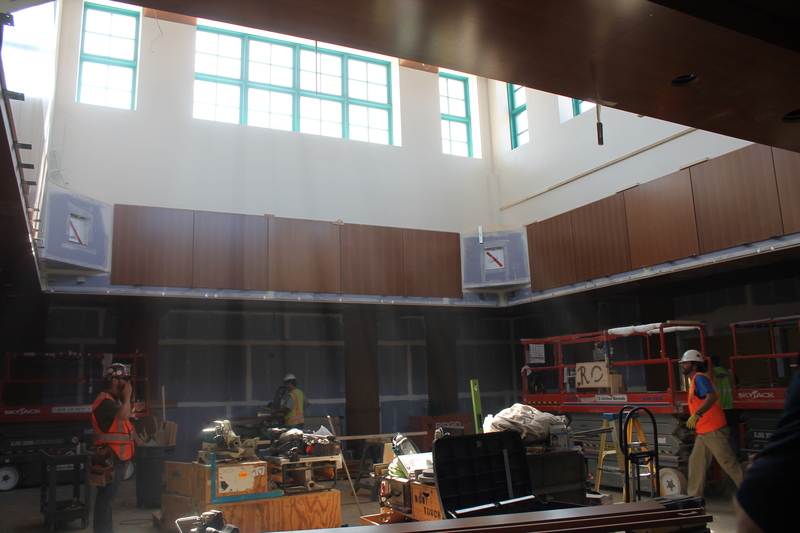 Crew members install millwork in Council Chambers. 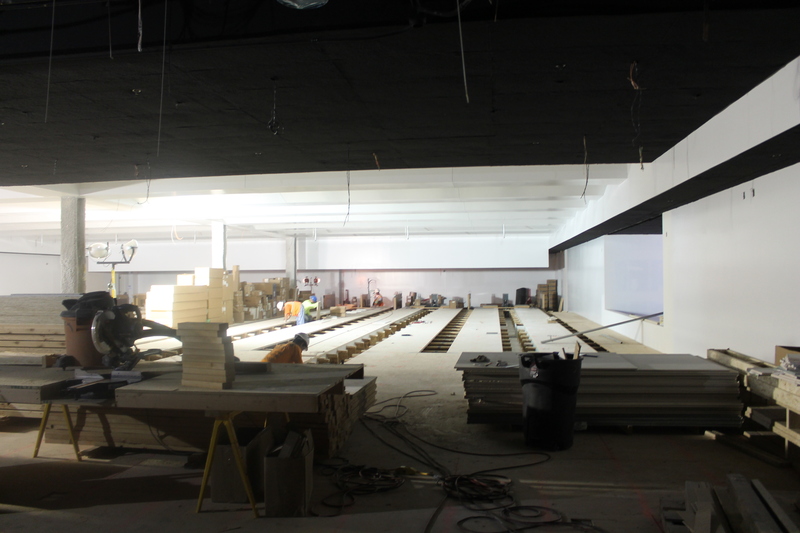 Crew members install the wood flooring in Aztec Lanes. On a sunny afternoon, there were a dozen crew members working in the tower alone! 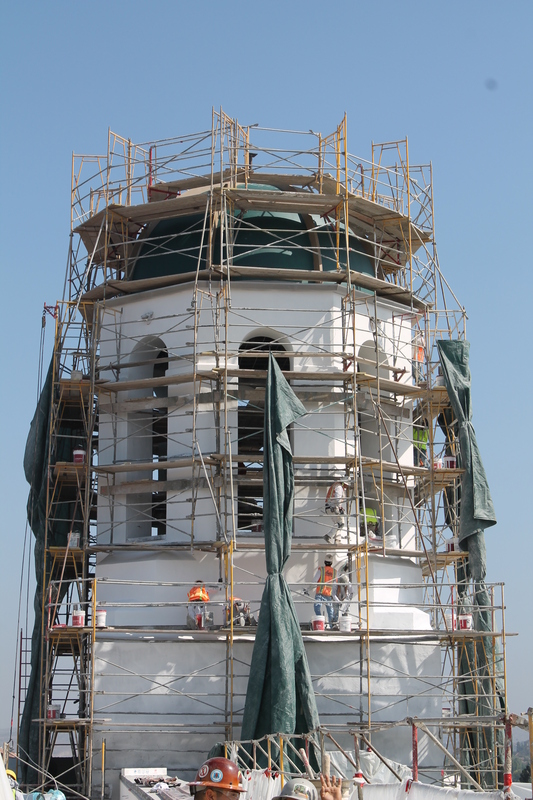 A dozen crew members complete work on the Union tower and dome. Want to know the latest about Aztec Student Union? Be sure to “like” the Union on Facebook, follow it on Twitter or visit the live construction camera on the Aztec Student Union website. Love the pictures Lorena! I am getting more and more excited each day!